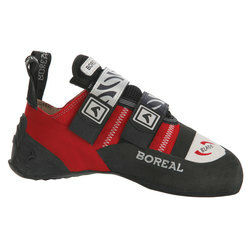 Handcrafted specifically for men and engineered specifically to adapt to the unique contours of your foot, our new collection of men’s climbing shoes will have you scrambling up strenuous grades with the alacrity of a rabid mountain goat. 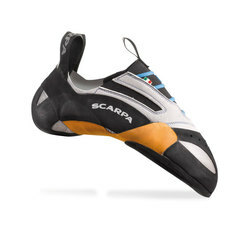 An obvious essential in any climbing package, our modern shoes are endowed with shock-absorbent technology and enhanced traction control. Curated by a staff of seasoned climbers, our offering from La Sportiva, Five Ten, Climb-X, Boreal and Anasazi will both cradle your feet and urge them upward. Also available in a myriad of colors from smoke and onyx to green and burgundy.